For the past six days Ogun State big boy, Ibrahim Egungbohun, a.k.a Dende, has been in the custody of the Nigeria Customs Service (NCS) headquarters in Abuja over his alleged illegal deal of smuggling. 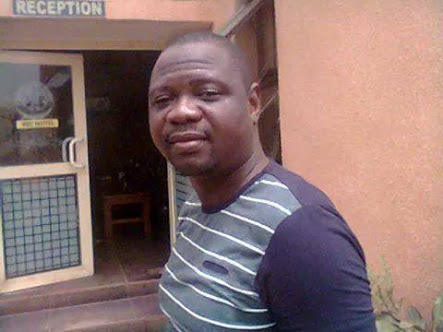 Dende, who is also the Chairman of IBD Hotels in Abeokuta and Ilaro, was, according to impeccable sources in Customs, invited to the Federal Operations Unit (FOU) of the Service in Ikeja, Lagos, last week Wednesday. The source added that Dende was, after interrogation at the FOU, moved to the headquarters of the Service in Abuja. As at the time of filing this story, he was still being held by the Service in Abuja. Crime Puzzle investigation revealed that Dende's arrest could not be unconnected with his smuggling activities in the southwest, which the presidency was not comfortable with, particularly as it runs foul of its policy on prohibited items. Confirming the development, the Customs Public Relations Officer (PRO), Deputy Controller of Customs (DC), Joseph Attah said "he is our suspect and currently in our custody over his smuggling activities".